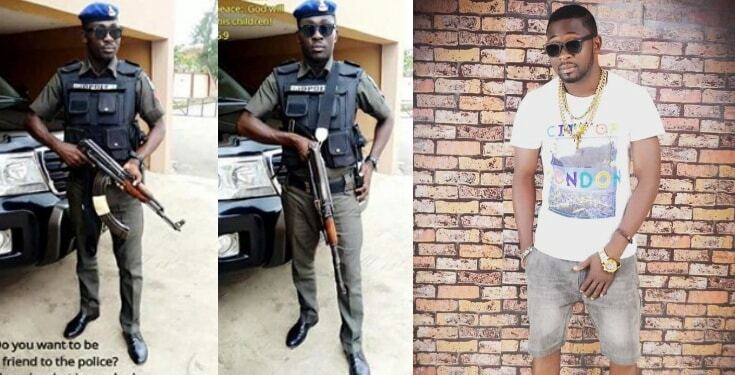 A Nigerian Policeman identified as King C Clear Odiase, has reasoned anomaly regarding the #EndSARS anthem that has envelope the Nation media space. 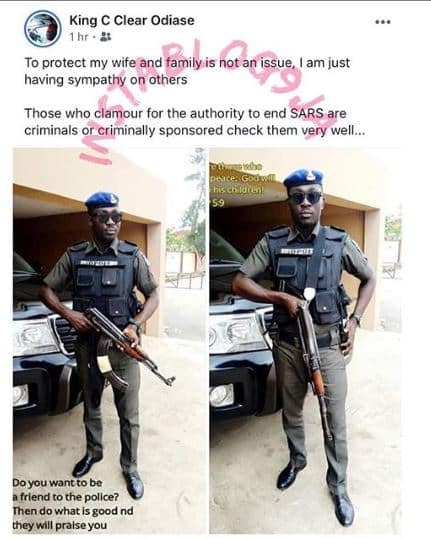 According to the young man, people who clamour to the authorities to end SARS are criminals. “To protect my wife and family is not an issue, I am just having sympathy on others. Those who clamour to the authority to end SARS are criminals or criminally sponsored check them very well”, he wrote.